Goji berries are a nutrient-packed superfruit worth having in your diet or supplement routine. Antioxidants do amazing things for the body, protecting us against aging and keeping us healthy. One of the best places to get them is from berries, and goji berries are the perfect berry for antioxidant power. 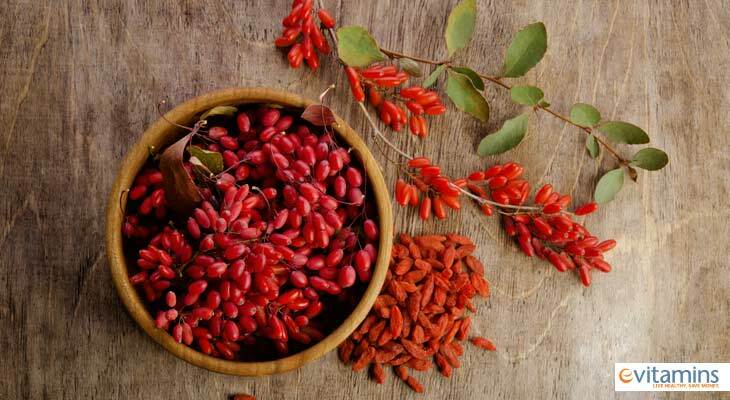 Goji berries are the fruit of the Lycium barbarum plant, a shrub native to Asia. Also known as wolfberries, goji berries are bright reddish-orange in color. The whole berries are often eaten fresh or dried and the juice can also be consumed. The berries and their juice are also used to make supplements. These berries have been consumed for years for overall health and wellness in Asian countries like China. Their effects are beginning to be studied more closely. A 2008 study published in the Journal of alternative and complimentary medicine found consuming goji berry juice for 14 days improved the neurological and psychological condition of patients for a general feeling of wellbeing, while also improving gastrointestinal function. Participants slept better and had improved energy and mental clarity. One of the main reasons goji berries are so good for you is because they contain antioxidants. The main antioxidants found within goji berries are vitamin A and vitamin C. Antioxidants provide protection against free radicals which can cause damage to the body's cells and aging. This protection helps keep the immune system strong, which is the body's first line of defense against illness. They also support the health of the tissues, for healthy, youthful-looking skin and improved wound healing. Lastly, antioxidants support eye health to help slow and/or prevent degeneration which can lead to poor vision. This is why many people think goji berries should be called the "fountain of youth." Consuming goji berries for 90 days resulted in increased levels of plasma zeaxanthin and antioxidant capacity while keeping macular characteristics stable in a study published in 2011 in Optometry and visual science. While more studies will need to be conducted, this one shows the positive potential of goji berries. Some animal studies have been conducted as well, also showing increased antioxidant activity with regular consumption of goji berries/juice. Enjoy goji berry juice in a smoothie. Mix goji berry juice in sparkling water. Add dried goji berries to your trail mix. Top warm oatmeal with dried goji berries. Bake goji berries into muffins using whole wheat flour. Stir some goji berries into your yogurt (you could also add some of the juice). You can also try a goji berry supplement, which are available in a variety of strengths. It's always best to consult your doctor before adding a supplement to your daily routine, especially if you're being treated for a medical condition or if you're pregnant or breastfeeding. Individuals taking blood thinners or being treated for diabetes or high blood pressure shouldn't take goji berry supplements unless under the direction and supervision of a doctor. You can find a range of goji berry products and so much more at eVitamins Canada. Try them today and have a good weekend! Can Noni Juice Help Prevent Cancer? Just 2 tbsp of this juice provides 30,000 mg of pure goji. Drink it straight or try mixing it with sparkling water or other juices. You'll love the taste! One serving of these dried goji berries provides 180 percent of your recommended daily vitamin A and 30 percent of your daily vitamin C for potent antioxidant protection.